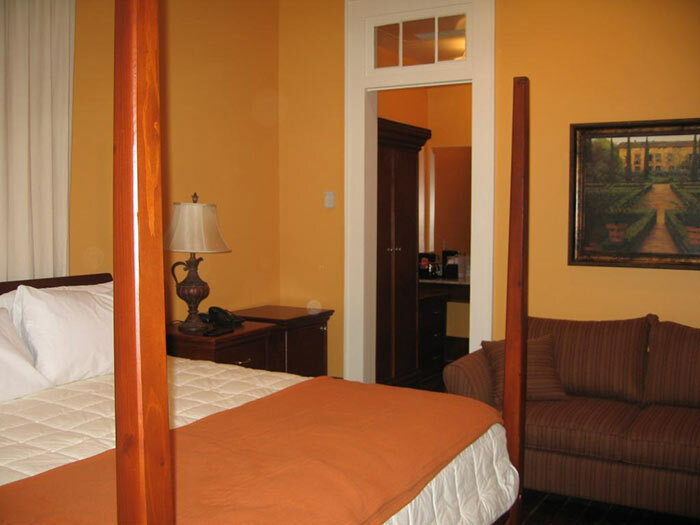 The Prytania Oaks Hotel is an Adult Only Property. You must be at least 25 years of age to reserve a room. PLEASE NOTE: ALL SECOND FLOOR ROOMS ARE ACCESSIBLE VIA STAIRS ONLY. THERE ARE NO ELEVATORS ON PREMISES. Double Gallery Home, c. 1893, renovated to open Jan. 2007. curved cove 12 ft. ceilings, Original Red Heart Pine floors restored to its rich red hues, lush Mahogany furnishings nestled with Granite and Ceramic Tile baths, plus new construction rooms w/all the plushness of renovation. King bed, Visco Elastic mattress. Dell 26" Plasma flat screen TV, IP Phones, DSL and Wireless Internet, Cable TV. Mini Refrig, Microwave, Coffee Pot, hairdryer. Max occ, 2 adults over 25 yrs. Double Gallery Home, c. 1893, renovated to open Jan. 2007. curved cove 12 ft. ceilings, Original Red Heart Pine floors restored to its rich red hues, lush Mahogany furnishings nestled with Granite and Ceramic Tile baths plus new construction rooms w/all the plushness of renovation. 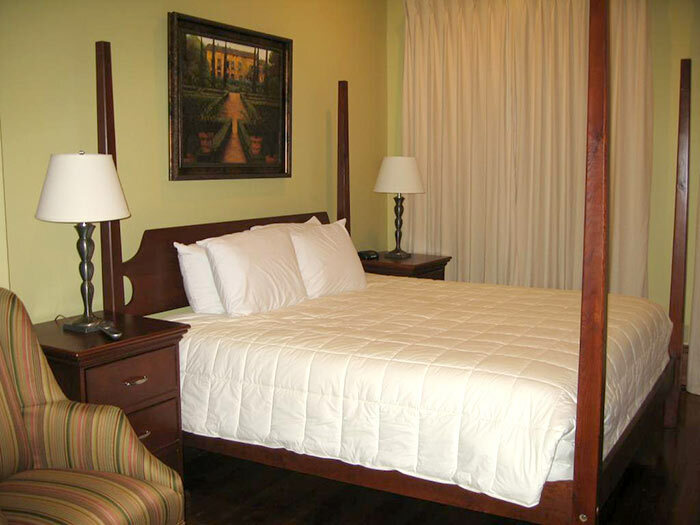 Queen bed, Visco Elastic mattress. Dell 26" Plasma flat screen TV, IP Phones, DSL and Wireless Internet, Cable TV.Mini Refrig, Microwave, Coffee Pot, hairdryer. Max occ, 2 adults over 25 yrs..